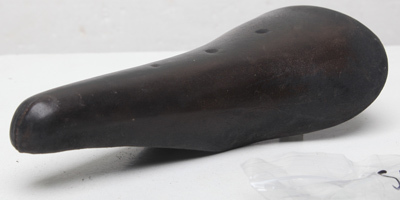 This page is for Cinelli, Arius, Milremo and Saba saddles; other makes and types of saddle can be in the sub-menu below. 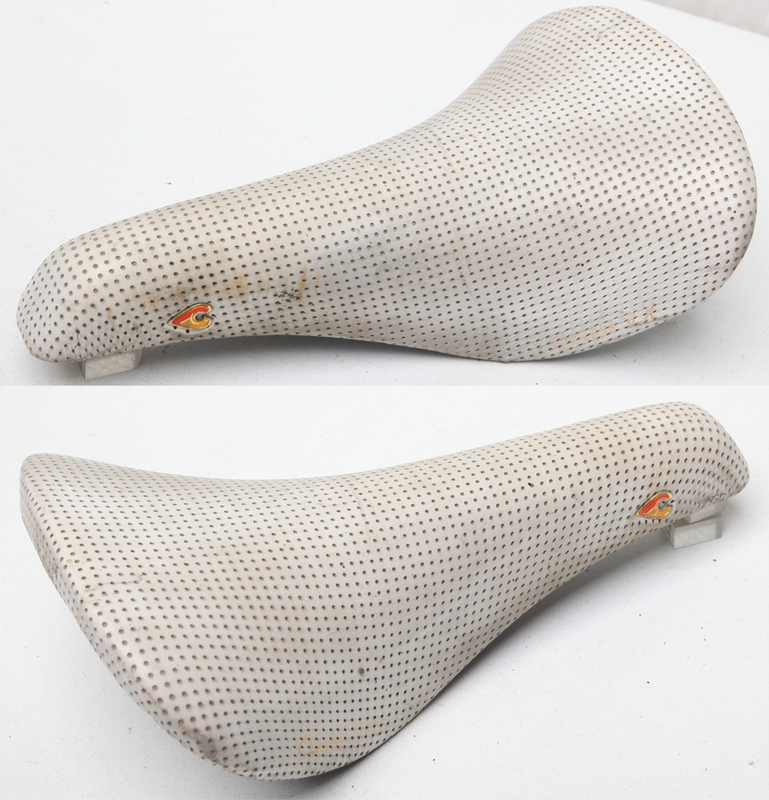 Cinelli, Milremo, Arius & Saba saddles Look Below! 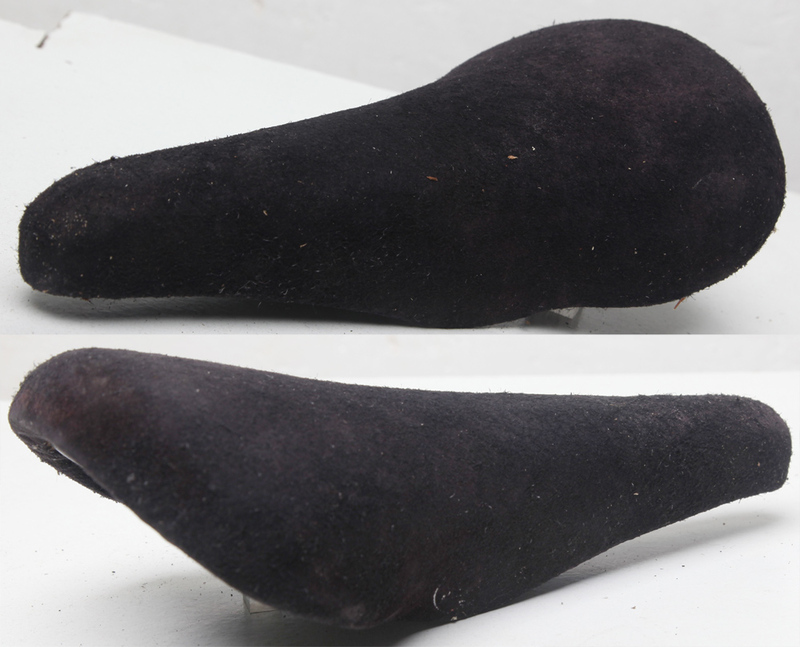 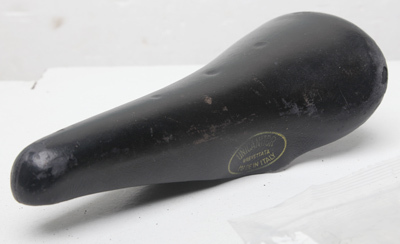 This was the first of the modern plastic saddles and was I think introduced around 1959–60. 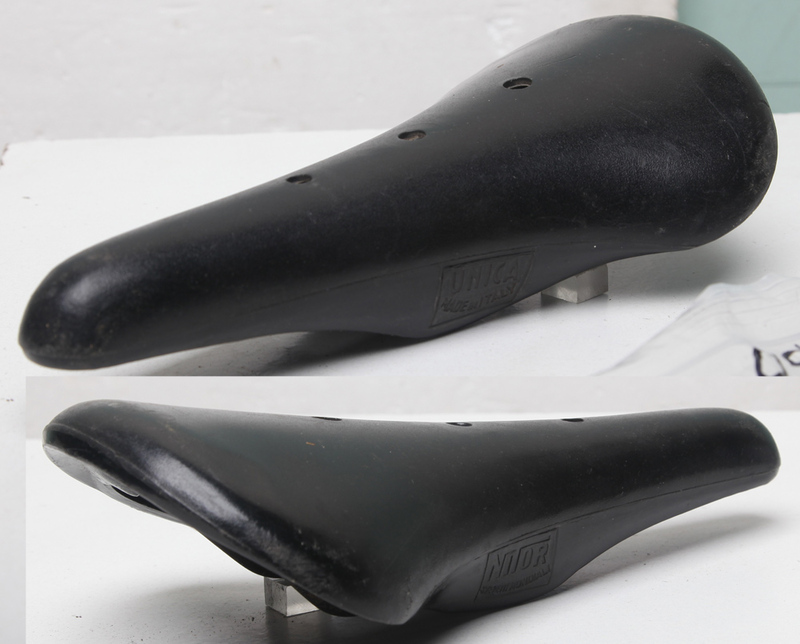 Cino Cinelli was approached by Tommaso Nieddu of Turin, (founder of Vittoria derailleur company) to propose a collaboration on the production of a new plastic saddle, the Unica-Nitor. 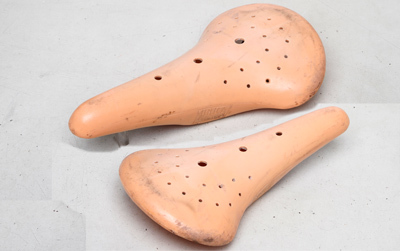 They consult with Giotto Cinelli who by then had many years of experience with the injection molding of plastics. 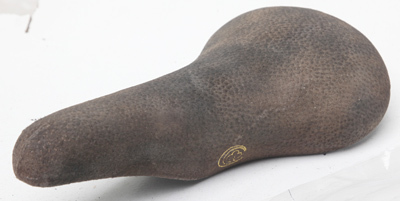 Cino enters into partnership with Nieddu in 1962. 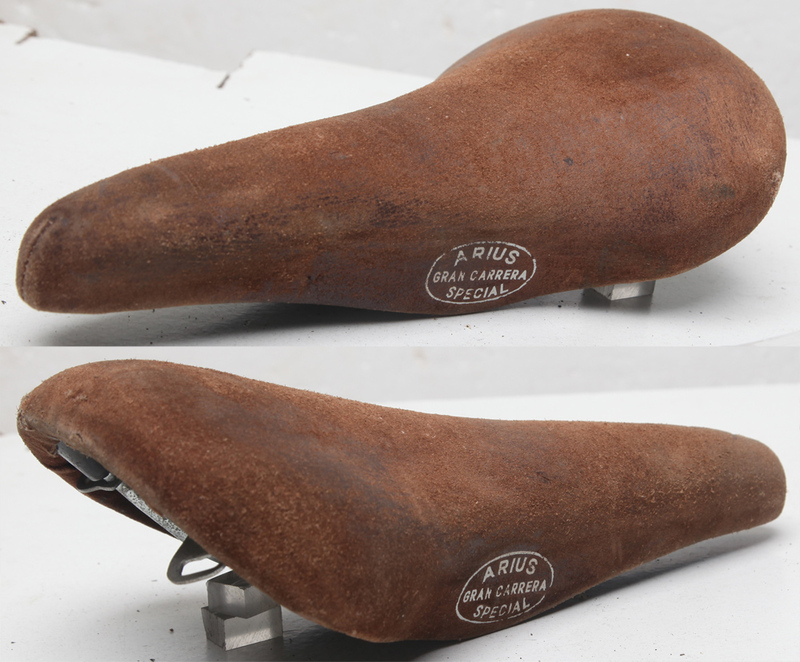 First version has square-section steel rails and a dedicated steel seatpost later replaced with a conventional round-section steel rail version for use with conventional seat posts. 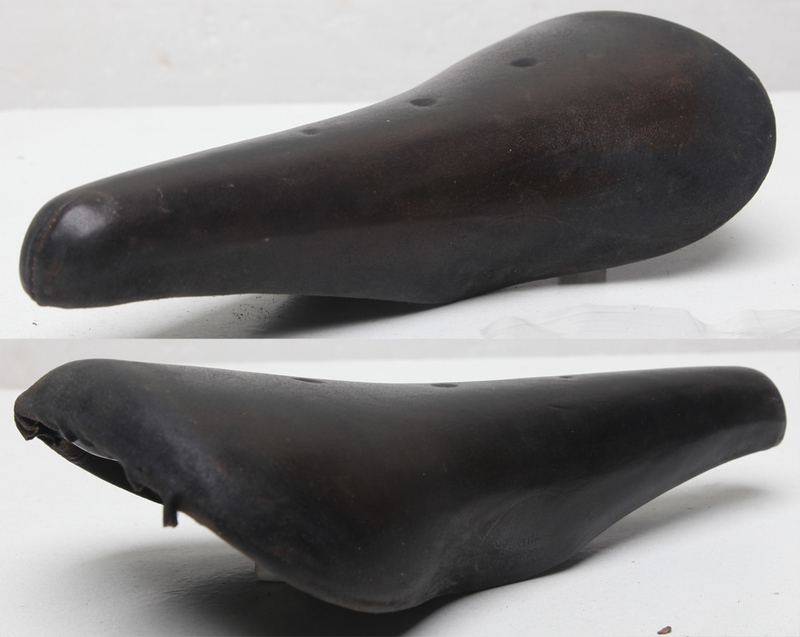 The early saddles are marked Unica Nitor. 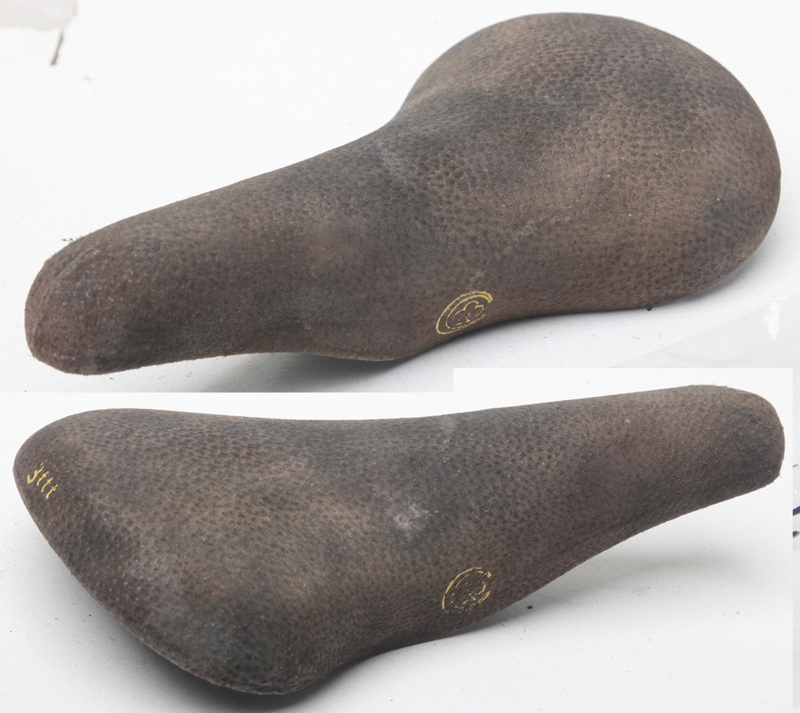 I am not sure when the Cinelli name was added and when they became Unicanitor. Initially they had nose-tension bolt like leather saddles, this was dropped I think in the late 60s… And new models with padding and a leather top were introduced in the late 60s. 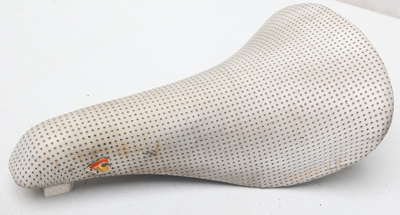 Despite looking uncomfortable most riders find them very comfortable. 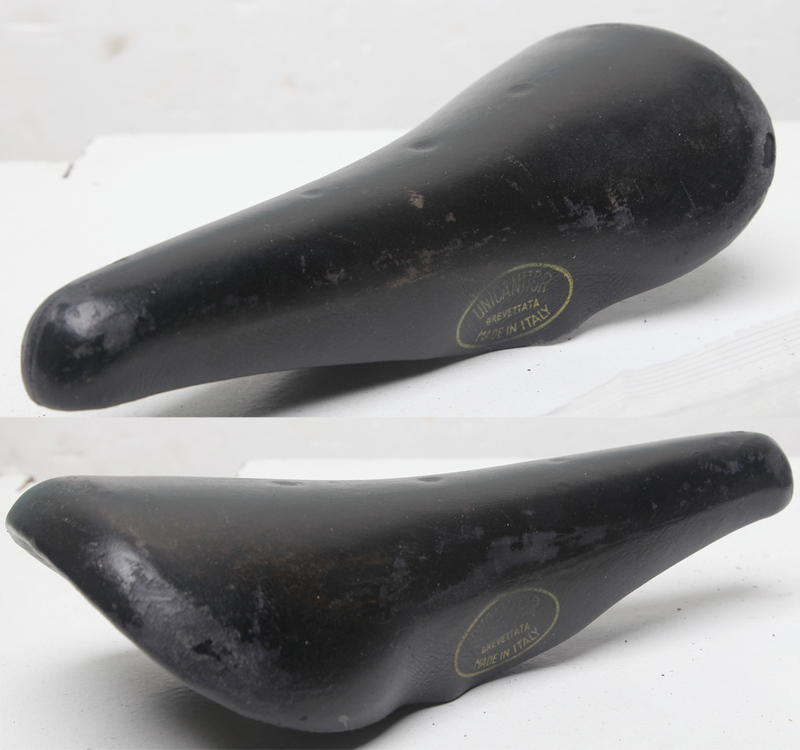 The design was soon copied by other makers notably Arius in Spain who also made the Milremo branded saddles. 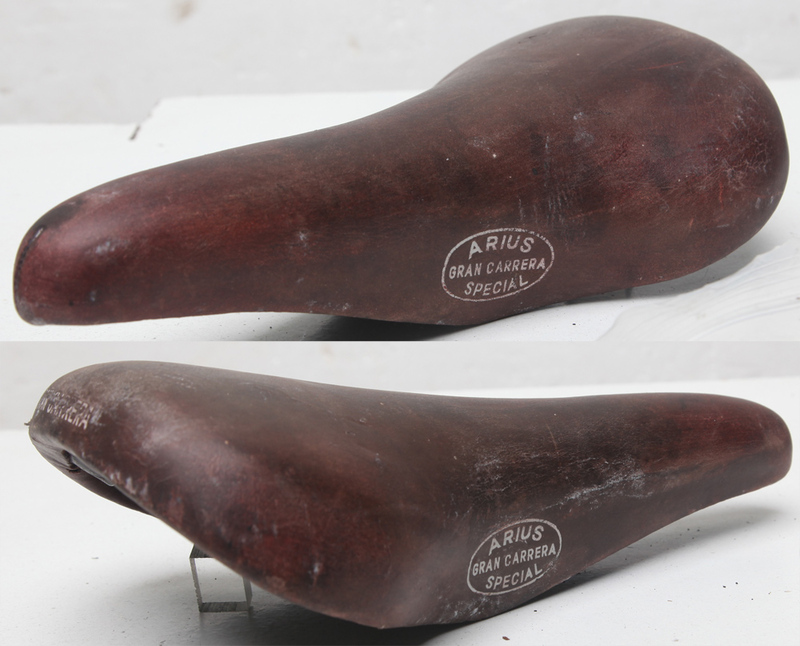 Later 3TTT and Saba made saddles in the same vein. 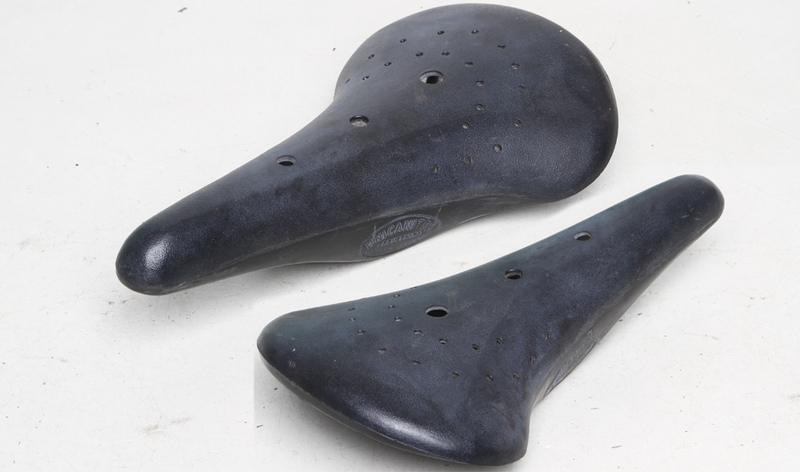 Cinelli, Milremo, Arius & Saba saddles Look Above!